The AIPP is very pleased to announce three new official partnerships with the University of Chicago Press, publisher of the Chicago Manual of Style; Tech Surgeons, website host for the AIPP; and Slack, the increasingly popular virtual office application used to ease communication between teams spread across the globe. Where would editors be without the Chicago Manual of Style? Considered to be the standard in the book publishing industry, editors can stay abreast of style standards and updates with a CMOS subscription. Eligible AIPP members will be able to get $5 off an online subscription or renewal to the Chicago Manual of Style. A discount from the bookstore is pending. Have you read Nikki Busch’s recent AIPP blog post about why your website matters? If you want to make the switch to your own website, consider using the same host that the AIPP does. 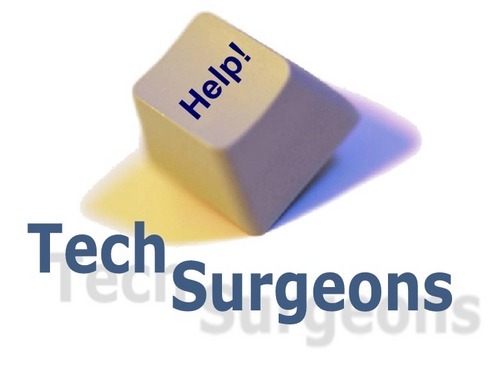 Eligible AIPP members will be able to get a 10% discount on hosting packages from TechSurgeons. Tired of spending most of your day slogging through team emails? Don’t want to enable slacking off by operating your small business via a Facebook group? Slack is a virtual office communication tool and file-sharing medium that will help you to keep track of your team and stay in easy contact. We use it for AIPP operations and couldn’t be happier. Eligible AIPP members will be able to get a $100 credit applied to their account when signing up. These AIPP benefits will be added to the Benefits page within the next week. We hope that our members will see our growing benefits slate as a sign that the AIPP is dedicated to making life easier for freelancing professionals around the world!